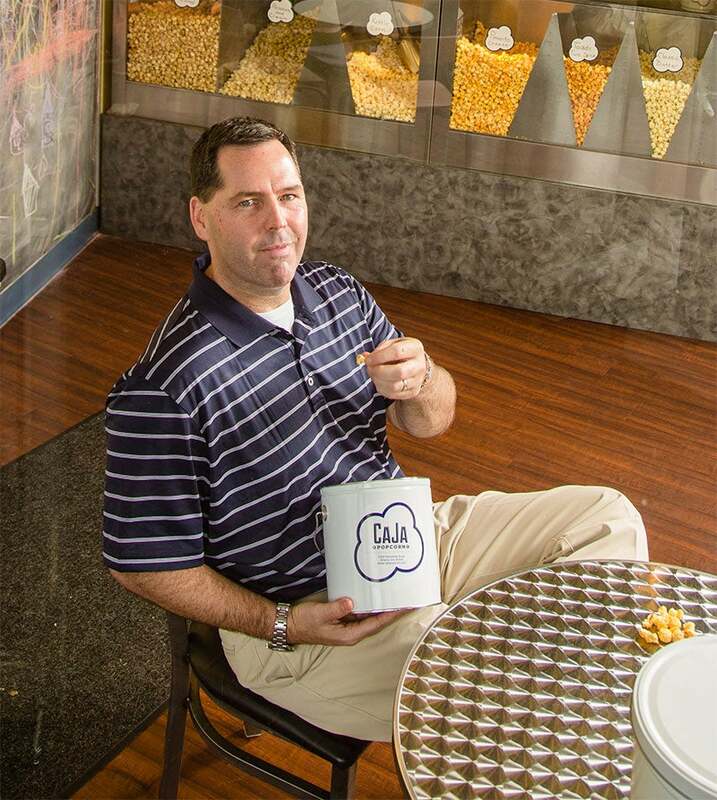 When Kevin Peak opened CaJa Popcorn in 2012, he knew social media would be an important component of his marketing plan. In addition to creating a website and establishing a presence on Facebook, Twitter and Instagram, he looked to online review sites such as Yelp and Urbanspoon to gather reviews and increase visibility for his gourmet popcorn company, which operates an Atlanta retail outlet and sells its products online. "Enough people use those sites that I knew it was important for me to get my name on them to tell my story," Peak says. "They give you the ability to include information like your hours and some photos, both of which are key to getting customers to stop in." Keeping up with the comments: Kevin Peak of CaJa Popcorn. But Peak soon realized that review sites posed some unexpected challenges. "These sites are great to get my name out there, but managing the actual review piece of it can be tricky," he says. "A lot of it feels out of your control, and for a business owner, that creates a real struggle." "A lot of it feels out of your control, and for a business owner, that creates a real struggle." Most consumers today won't even leave the house without first looking up a business's online review. As the number of people conducting research on sites such as Yelp, Urbanspoon and TripAdvisor increases--Yelp alone boasts more than 53 million reviews and an average of 120 million unique visitors monthly--so does the number of businesses struggling to manage their listings. While some startups have trouble even getting listed, others suffer from negative reviews or erroneous information provided by consumers. Indeed, many are finding online review sites to be a double-edged sword: They can be a great way for businesses to get discovered online, but they can bring unwelcome and inaccurate criticism and can cost time and money to manage. Here are six steps you can take to get the most out of user-generated review sites. 1. Develop a detail-loaded presence. Whether you're initiating a new profile or "claiming" one that's already on the web, it's important to fill out your listing as fully and accurately as possible, explains Jennifer Grappone, Los Angeles-based partner at Gravity Search Marketing and co-author of Five Stars: Putting Online Reviews to Work for Your Business. "If you provide as many details as you can, you're probably going to be a step ahead of at least some of your competitors." Grappone suggests choosing your descriptive categories carefully after reviewing which ones your competitors are using, and including details beyond the requisite name, phone number and address. "For example, if you don't enter your hours of operation, you'll never show up in a search if the user clicks the 'open now' search button," she explains. One detail that can be problematic is the address for home-based or service-related companies that don't have a physical presence (or don't want to make it public). Grappone suggests providing a service area as a workaround. "On many sites, you can enter your business information, but if you don't want the public to see your address, you can instead select a service area," she says. "You can see various companies on Google+ Local and Yelp that show a ZIP code only and not a full address." To optimize your SEO, it is important to have one standard and accurate listing on every site that mentions your company; if your listing varies among sites, it may be pushed down in search results. Michael Dash, president of New York-based CarPartKings.com, relies heavily on review sites to validate his company and let users know what to expect from his service. But after purchasing a yearly program with an industry-specific ratings site, he found that as traffic to his e-commerce business increased, so did the charges to keep the reviews coming--rising from $50 per month to $1,000. When he refused to accept the rate increase, he was shown the original agreement specifying that if he stopped paying the fees, the reviews he had received using the service would be removed from the site. Within a day of refusing to pay the increased rate, all of his positive reviews disappeared, while the negative ones remained. "We learned our lesson the hard way," Dash says. Today, he uses services that charge on a month-to-month basis and agree to keep reviews on the site indefinitely. "I can cancel at any time, and all reviews will be kept up, and they can't raise our rate more than a certain percentage every six months," he says. "Those are important things to look out for when signing up." 3. Accrue reviews and keep them fresh. Establishing a listing is not enough; you need to solidify your presence by gathering as many reviews as possible. While the algorithms used to determine your company's placement on these sites is mysterious at best, having a greater number of reviews can improve your landing results over competitors on the results page of a local search, according to Kristen Schiele, an assistant professor of marketing at Woodbury University in Burbank, Calif. "Not only does getting as many reviews as possible help tell your story, it also brings you up higher on the pages when people search for your type of business," she says. Ron Holt, CEO of Birmingham, Ala.-based Two Maids & A Mop, launched his cleaning service in 2003 but revamped his marketing efforts in 2009 to focus solely on leveraging review sites. "We've invested a lot of time and research to make it as easy as possible for our customers to talk about our service without actively soliciting for that in an over-the-top way," he says. Holt directs customers to a private website and gives them step-by-step instructions on how to leave reviews. He even provides coupon codes to sites that require a fee to join. While that may seem like a lot to ask of customers, Holt's goal of a 1 percent online review rate is enough to attract the new customers he needs to continue to grow. "If we can get three to six reviews out of the 300 customers we have each day, then those reviews on a daily basis will provide exponential growth for us," he says, noting that his company's annual revenue has grown from $500,000 to $5 million since dedicating 100 percent of its marketing budget to gathering online reviews. One of the biggest frustrations with review sites is that they can (and do) filter legitimate reviews so that they may be hard to find--or even removed--based on individual site parameters. "It's a real challenge, because they totally control their algorithms to say what gets shelved and what doesn't," says Peak of CaJa Popcorn. Yelp's policy states that it doesn't want businesses to ask for a review, and that it will filter reviews it believes have been solicited. Yelp and other sites also commonly filter comments from people who have written only a single review; those that are too glowing, which may appear fake; and even those that are too negative, because they may have been written by a competitor. Rather than worry too much about the game, Peak makes a concerted effort to ask customers who actively use social media to share feedback about his company. "We say, 'If you like us, and you use social media, we'd love for you to help us out,'" he says, adding that the CaJa store has experienced a 62 percent increase in monthly customer visits over the past year. "If you worry about the filters, it's almost as if you have to say, 'Do you Yelp a lot? Because if you don't, your review doesn't even matter.'" For 'treps who feel strongly about getting reviews on Yelp, Grappone offers one easy hack: "Ask everybody who comes through your door for a check-in, and if those people haven't already reviewed you, they will get a prompt from Yelp after they've checked in requesting a review of your location," she says. "That's a way to encourage reviews without breaking their rules." 5. Respond carefully to bad or false reviews. Poor reviews can hurt, but it's important to respond in a calm and professional manner. "You may be talking to the individual reviewer, but your audience is really whoever else also comes across that page," Grappone says. "Even if you don't agree with it, it's best to write a thoughtful response that directly addresses the situation and describes a reason why this is still a desirable business." Holt and other officials of Two Maids & A Mop meet bimonthly to determine if any reviews need follow-up. He also provides a standard response template to ensure that his 15 affiliate- and franchisee-owned location managers respond to reviews in an acceptable manner that is consistent with his brand's values. Factually incorrect reviews are another problem, but the complaint system to have them removed is difficult and often unsuccessful. So it may be preferable to simply continue to collect reviews so that the questionable ones are outweighed. "The more reviews you have, the more likely that your customers' voice will come through, and if you're doing a good job, that will show," Grappone says. "Any negative stuff will be diluted." As long as your business is operating smoothly, consider enlisting the help of services that might make these sites work better for you. For example, Bazaarvoice Express automatically requests reviews from customers that can be posted on your site, and Moz has a tool that will standardize local listings on major aggregators for about $50 per year. "Automating the process of requesting reviews and making sure your listings are correct is helpful, because the more reviews you accumulate, the more credibility you have," Grappone says. And while plenty of business owners believe they shouldn't have to pay to control their own information, research suggests that advertising on review sites in the form of so-called "enhanced listings" might be worth the expense. A Boston Consulting Group survey of nearly 4,800 small businesses found that companies that had a standard Yelp profile but did not pay to advertise on the site reported incremental annual revenue of $8,000 from Yelp. Businesses that paid for Yelp ad campaigns, on the other hand, saw an average annual revenue increase of more than $23,000. Dash believes paid programs are worth the investment. He says CarPartKings products that are reviewed have conversion rates about 30 percent greater than those that aren't. "I think it's important that we spend the money to make sure we're getting our reviews out there and that the reviews are from a trusted source," he adds. "The farther and wider you spread your net, the better."